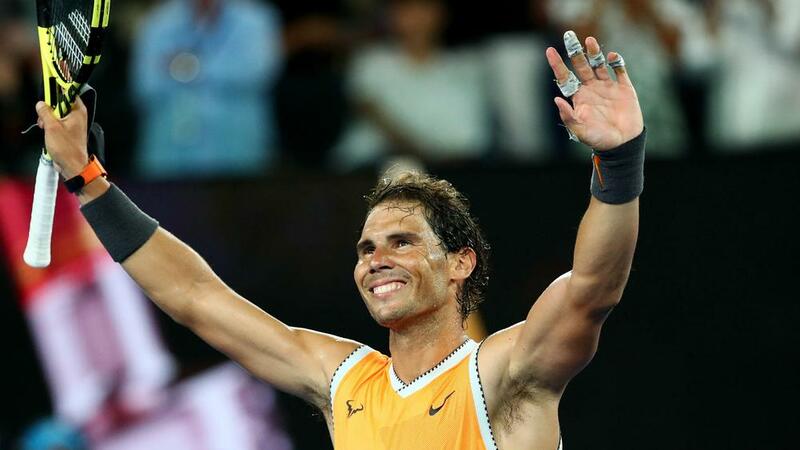 It was business as usual for Roger Federer and Rafael Nadal as they both progressed to the Australian Open third round on Wednesday. Neither has dropped a set in their opening two matches in Melbourne as they edge closer to a semi-final meeting. Federer had it tougher against Dan Evans than Nadal did against Matt Ebden, the Swiss ultimately prevailing 7-6 (7-5) 7-6 (7-3) 6-3, while the Spaniard enjoyed a more comprehensive 6-3 6-2 6-2 success. Fifth seed Kevin Anderson will not be joining them, though, after Frances Tiafoe sent him packing despite losing the first set to the big-serving South African. Marin Cilic, Tomas Berdych, Grigor Dimitrov, Alex de Minaur – who will now face Nadal – and Karen Khachanov all progressed on day three as an intriguing bottom half of the draw begins to take shape.